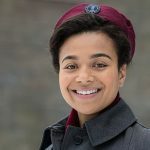 Following up on yesterday’s news that the bicycle-riding, cardigan-wearing midwives of Nonnatus House are headed to Cape Town, South Africa to film the forthcoming 2016 holiday special comes news of a new cast addition for series 6. 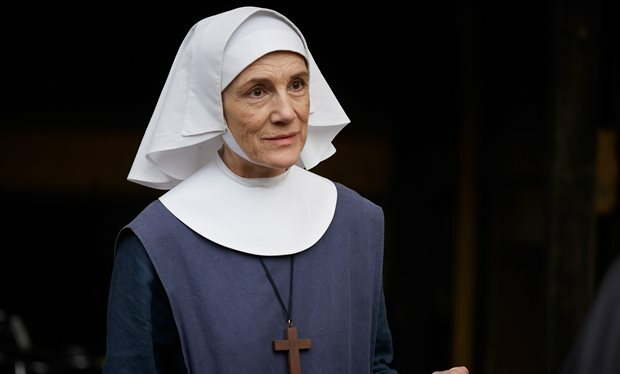 When the series returns in early 2017, Nonnatus House will be getting a new nun in the form of Dame Harriet Walter. 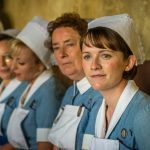 The 65-year-old veteran actress is set to join the sixth series of the long-running period drama when it airs on BBC1 and PBS next year. She’ll play Sister Ursula, a character Walter describes as a “not very welcome addition” to the midwifery team. Dame Walter will join the cast after the departure of the much-loved character Sister Evangelina, played by Pam Ferris, who passed away at the end of season five. 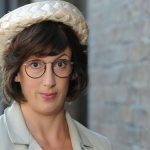 Walter is a prolific stage and film actress, best known for roles in Atonement, Sense and Sensibility, Downton Abbey (Lady Shackleton), London Spy, Little Dorrit and Star Wars: the Force Awakens. She’ll join the series when the residents of Nonnatus House return to the East End after a trip to South Africa during the festive special. Walter will star alongside Helen George, Charlotte Ritchie, Emerald Fennell, Jenny Agutter, Judy Parfitt and Miranda Hart, who is returning to the show after a recent hiatus. “As an actor I’ve been made to feel one of the family from the start,” says Walter of her new role.